Snow makes for the perfect winter and holiday season. 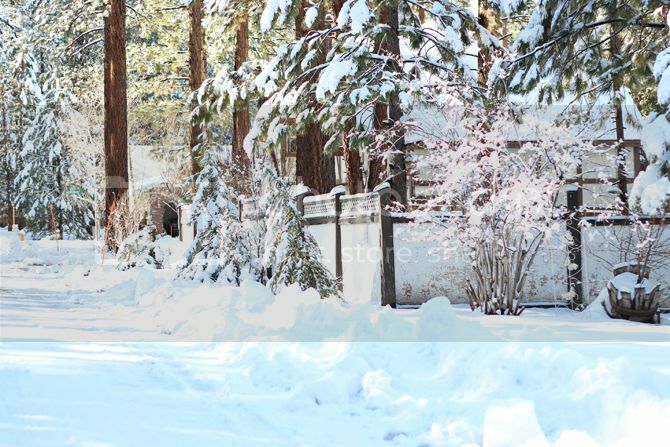 It can truly transform you into the Christmas spirit while dreaming of a white wonderland. I spent the weekend in Big Bear and it started to snow right when we arrived. Being surrounded by palm trees and Southern California weather, the snow was an amazing change. 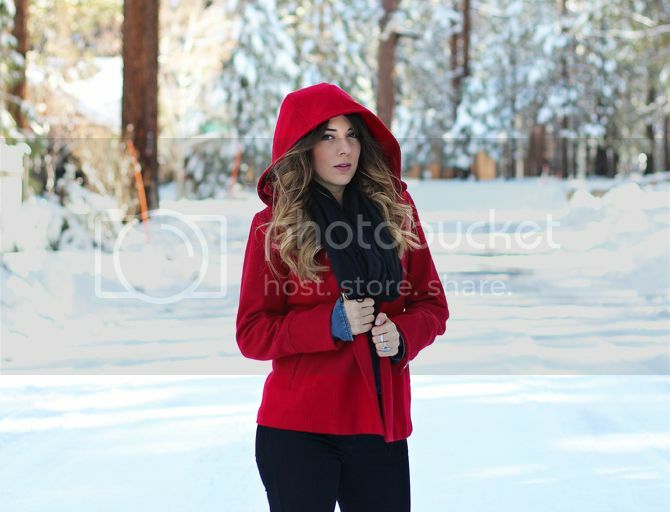 I threw on my red coat and booties and immediately went to play in the snow. Trying to look stylish and cute is pretty difficult when it is less than 30 degrees (Fahrenheit). 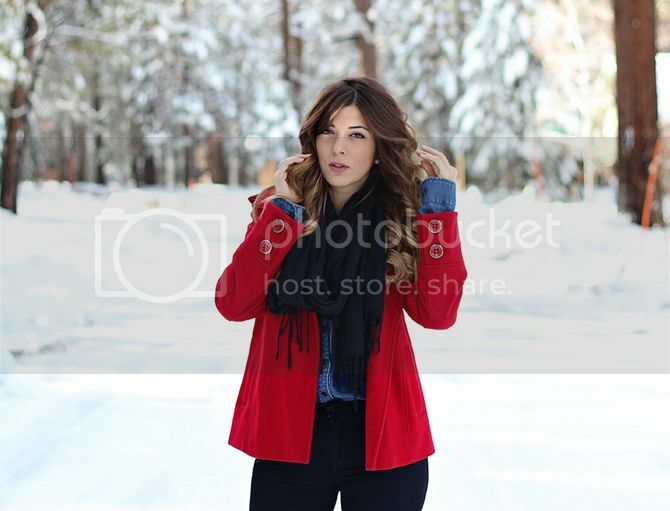 I paired my red coat with chambray and a black scarf to stay warm. The white snow was the perfect backdrop and change from my usual palm trees. You look so beautiful in this very casual outfit!